I could remember when i was quite young, the citrus fruit lime scares me a whole lot whenever i am asked to take it just because of the sour taste it has. But now i am grown and had discovered the amazing health benefits that this fruit has, consuming it have become a most for me. I am quite sure most of you already know the citrus fruit i m talking about, but as for many that don't, it is a smaller version of orange and typically round in shape. It contains juice within and usually 3 to 6 centimetres in diameter. Check out the image below for better description. The reason behind the sour taste of lime is the high concentration of acid in this fruit. From time past, our fore fathers have been making use of lime to remedy certain ailments like malaria. The potency of this citrus fruit is as a result of the healing properties (e.g antioxidants) that it contains. Just like orange, lime is a natural source of vitamin C and the good part is that this fruit readily available throughout the year. Another citrus fruits that is similar to lime is lemon, but the difference is that lime contains higher sugar and acids compared to lemons. During the rainy season, cold, catarrh and flu is highly predominant and lime serves as a good remedy for these ailments. Lime is capable of combating these illness because of the vitamin C it contains. If you want to increase the strength of your defence mechanism (immunity), you can add honey and ginger to a freshly squeezed lime juice. This method have been used by our parents from time past, but i guess they are not really aware of the reason behind this. The vitamin C that is present in lime helps to reduce gastric inflammation and the same time gets rid of the harmful bacteria that could be found in your digestive tract or body as a whole. It aids digestion, and can also be used to stop vomiting. The flavonoids present in lime also stimulate peristaltic motion and in addition, boosts the secretion of digestive enzymes. Under normal circumstance, i think it is advisable for every home to have a bottle of squeezed lime juice readily available, this because it can come in handy when certain ailments strikes. It can easily treat constipation because it washes the tract of the excretory system, thereby helping it. If you think you are not achieving anything in your weight loss program, then it is right time you give lime a try and you will be glad you did. The citric acid contained in lime juices aids the burning of fat. Squeeze some quantity of lime juice into a warm glass of water, drink this combination persistently for some time and you will be amazed how rapidly you will lose weight. 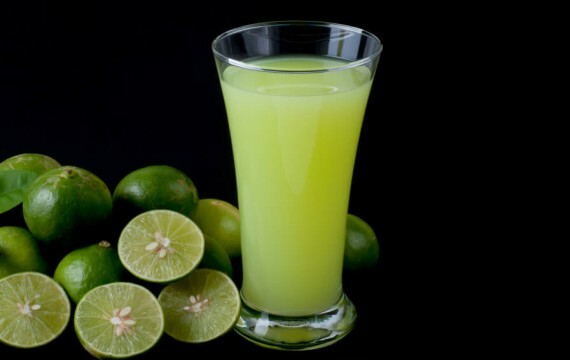 The mixture of lime juice and water is also considered to be an antioxidant drink that gives refreshment to the body. The best part of applying lime in weight loss is that the result is so fast and can be seen within a very short period of time. The vitamin C concentration of lime is so amazing and it does a lot of wonders in your body. The antioxidant properties of this citrus fruit help in maintaining the shape of the eye because it prevents the eyes from macular degeneration as well as aging. The vitamin C also protects the cornea in the eyes against ultraviolet light and improves vision. Eye infections can also be prevented because of the flavonoids it contains. Because of the high levels of soluble fibres found in lime, it is considered as a good fruit for diabetic patients. They help in regulating the your body's absorption of sugar in the blood stream. By this act, they help in reducing the occurrence of sugar spikes in the blood which serves as threat to most diabetic patients. As a result of low glycemic index of limes and other citrus fruits, unexpected increase of blood glucose levels is curbed. If you want to easily get rid of the toxins found in your body, then it is wise you take limes regularly. Accumulation of free radicals and toxins in the body is the major causes of gout. Consuming limes will save you the stress of the menace. Flavonoids present in lime also assist in keeping the body clean and healthy. With all these health benefits that this citrus fruit possess, i am quite sure you will not have a second thought of consuming lime regularly.